Apply Online has search functionality which allows you to view all applications you've worked on in the past, whether it be from Mercury, a cloned application, or applications created in Apply Online directly. Click the View drop-down menu and select Find All Applications. 2. 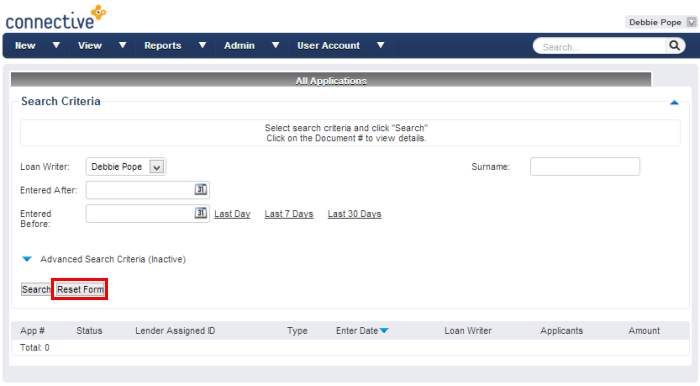 You can search by Loan Writer, Client Surname, or applications entered between two dates. By default, the Loan Writer is set to yourself. 3. If you have any issues finding applications, click Reset Form which usually fixes all search-related issues.